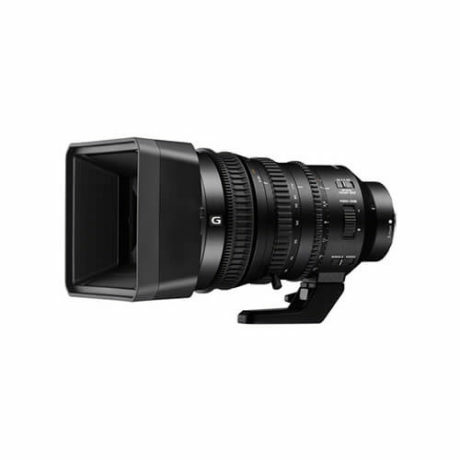 The Sony FE PZ 18-110mm F4 Zoom Lens is a full frame E-mount ENG style optically stabilised zoom lens. It has 3x separate lens rings for focus, zoom and iris as well as a zoom servo switch. Lens interface means focus and iris can be controlled from a compatible camera.